Lasting Impressions joins Butler Seattle to "transform the future of meetings." Partnering with another business in your community is a great way to grow. Here’s a story about how Lasting Impressions joined Butler Seattle to support their shared vision to transform the future of meetings. Effective January 1, 2018, the new owner of the Northwest Event Show. 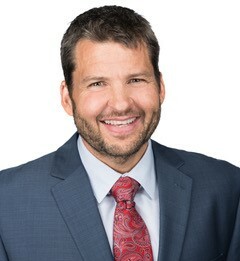 Stuart’s role is to lead a team of industry experts to exponentially grow the Northwest Event Show in attendance, education, experiential opportunities and technology. 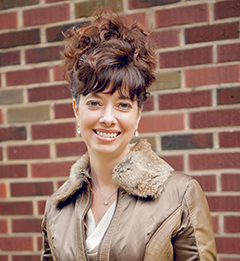 As an advisory board member to the 2018 Northwest Event Show, Janet’s role is to provide marketing strategy to lift the show higher in ROI for both attendees and exhibitors. Stuart and Janet are both experts on events. Even better, they thrive on business synergy and have a passion for bringing high performance teams together. They brainstormed a dynamic mix of their areas of influence, their teams’ resources, their customers’ needs and interests, and their shared aspirations for making a significant contribution to their Pacific Northwest business community. These attributes and more are the basis for Stuart’s and Janet’s vision to transform the future of meetings in Seattle over the next 5 years. 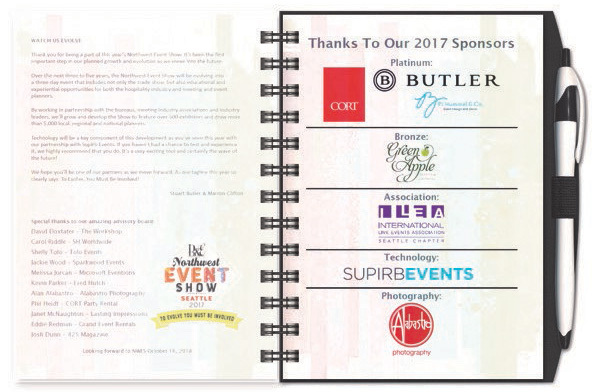 The first step in communicating this vision was the signature journal book Lasting Impressions created and distributed at the 2017 Northwest Event Show among all exhibitors. Janet optimized Stuart’s idea of combining an announcement for the new vision and thanking exhibitors with a memory hook for the show. The gift journal, pictured below, is an example of a strategic marketing piece. It explains Stuart’s vision in an unforgettable way, and also acknowledges the new advisory board. 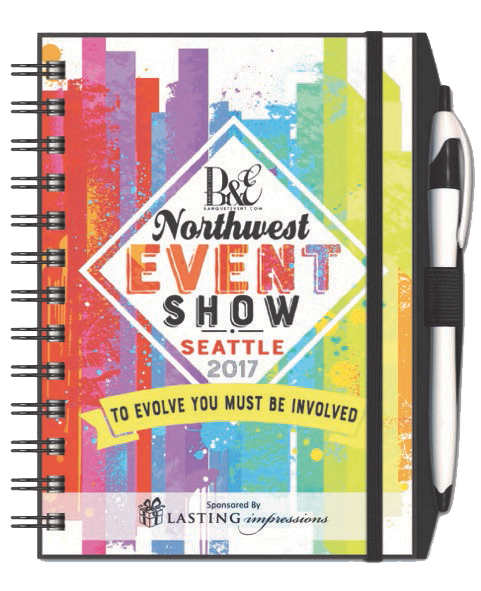 This partnership meant finding impactful ways to include all the Northwest Event Show’s stakeholders, adding as much value as possible. It was important to name the board and acknowledge the expertise of the personnel behind the vision. The slogan, “To Evolve You Must Be Involved.” planted the seed for growth and engagement. Lasting Impressions and Butler Seattle believe one of the most important principles of strategic marketing is giving customers not only a product, but an experience. Stuart and Janet are both committed to staying close to their customers and fostering lasting relationships with the people who make their community an amazing place to live and work. You may not have unlimited resources but joining forces with a dynamic partner can open unimagined possibilities for everyone involved. Find a partner and grow! 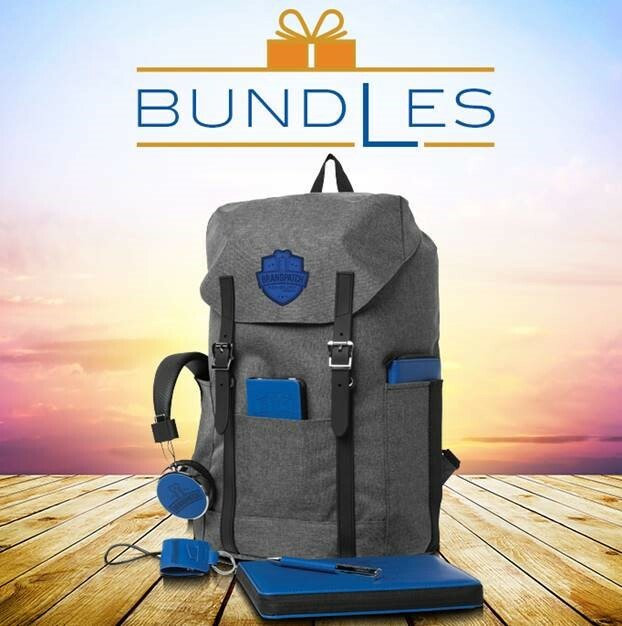 Here’s another idea, speaking of “better together.” Look at this beautiful bundle. The whole is so much greater than the sum of its parts because the color coordination, clever “must have” extras and convenience are 90% of the appeal. Our customers are loving this, because it distinguishes their gift. It’s clearly a special touch for a special occasion. For more information on Butler Seattle, to talk with Janet about strategic marketing for your event, or to engage with an industry association click below.